With just 24 days to go until the start of the Hay Festival the site build is well under way. Here’s an aerial shot of the site on the outskirts of the town. 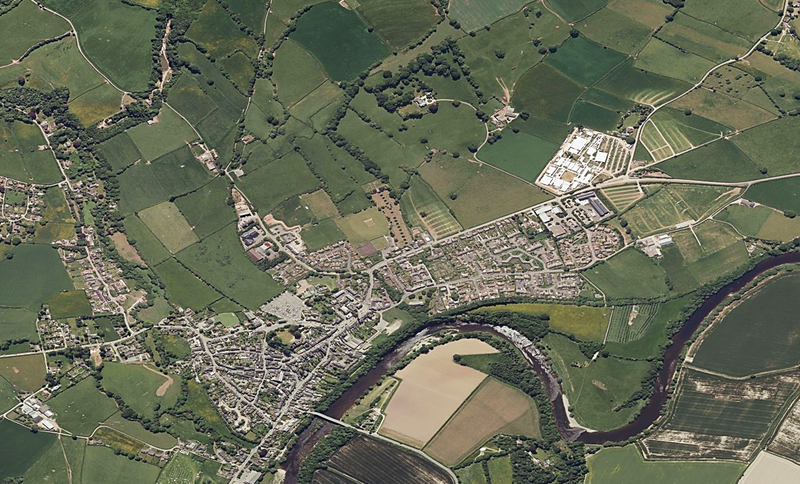 As you can see the site at Dairy Meadows is sizeable in comparison to the town centre, the triangular area – below and left of the centre of the image (click image to enlarge). Hay Castle sits just below the main car park. The festival has been held at a variety of venues around Hay, including the local Primary School. This is the tenth year that it has been at the Dairy Meadows location.